Madison Park Gardens, a serene co-op community tucked away in the heart of the President’s Section of Port Washington, is perfect for commuters and locals alike. Careful attention is put into landscaping; the grounds feature extensive plantings, inviting grass-covered areas, evergreen bushes, and a range of trees of various ages and sizes. Other amenities of Madison Park Gardens include laundry rooms, storage, a bicycle room, and a full-time superintendent. 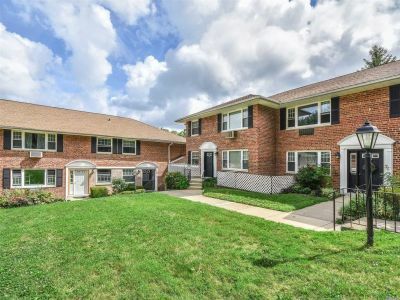 The community is conveniently located near the library (ranked among the top two percent of libraries nationwide), restaurants, shopping, and the LIRR; you’re only a quick, comfortable train ride from Manhattan. to the thrills at Madison Square Garden in 36 minutes! There’s plenty to do and see around Madison Park Gardens, too. The hamlet of Port Washington is visually lovely, with its rolling hills and winding coastline. Its manmade attractions include marinas, parks, playgrounds, yacht clubs and golf courses. Port Washington’s charming downtown area centers on a Main Street jam-packed with restaurants, local boutiques, galleries, and services, all contributing to both the artsy aura and sense of cohesive community. Fun fact: In the 1870s, about 140 million cubic yards of Port Washington sand were used for the concrete that built New York skyscrapers like the Empire State and Chrysler buildings.